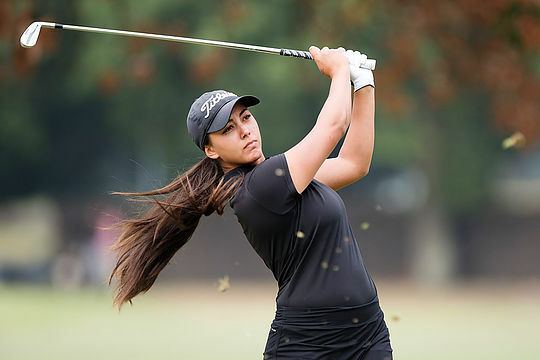 Japan’s Ren Yonezawa and Victoria’s Steph Bunque have taken out the SA Classic at Royal Adelaide Golf Club in South Australia. Bunque secured a two-shot victory over Japan’s Yuna Nishimura to win the 2019 Rene Erichsen Salver, with Yonezawa making up his one shot deficit to account for overnight leaders Billy Cawthorne and Yuta Sugiur. Yonezawa finished at 15-under-par for the tournament, a shot ahead of late storming Jediah Morgan from Queensland, who fired an impressive final round of 66 to take the outright runner-up position. Jack Thompson, Cawthorne and Sugiur all shared 3rd position at 13-under. “Royal Adelaide is a fantastic golf course,” said Yonezawa. Bunque was superb over the four rounds firing scores of 72-66-71-70 to finish 13-under to secure her victory over Nishimura, with Cassie Porter firing an impressive final round 67 to jump four places to secure 3rd position at 10-under. “I had good vibes coming into this week,” said an elated Bunque.